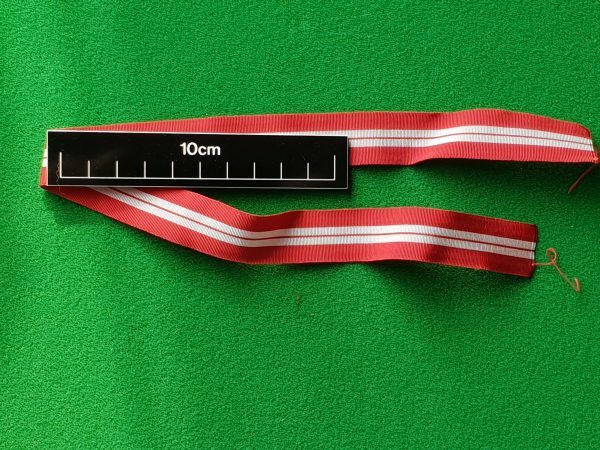 Original length of Irish Emergency period medal ribbon to fit miniature sized medals. 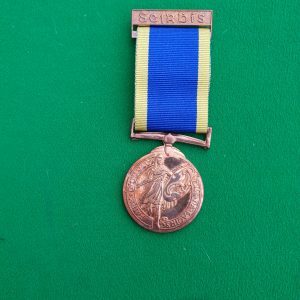 On offer here is an original length of medal ribbon worn on the miniature service medal awarded during the 1939-46 emergency period in Ireland. 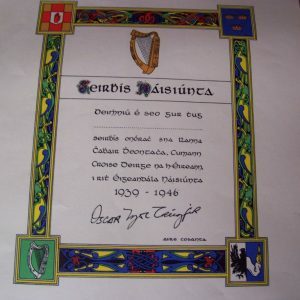 This original piece of Irish World War 2 era history measures approx. 40cms in length. The ribbon is 2cms in width. It would be ideal for anyone wishing to replace medal ribbon that is missing, dirty or frayed. An original piece of ribbon from the 1940’s. It could potentially fix several miniature medals.